The 4th Annual Save the Red House Sawmill Raffle begins today! Tickets are now available at the Red House Gift Shop and are $5.00 each or 5 for $20.00. 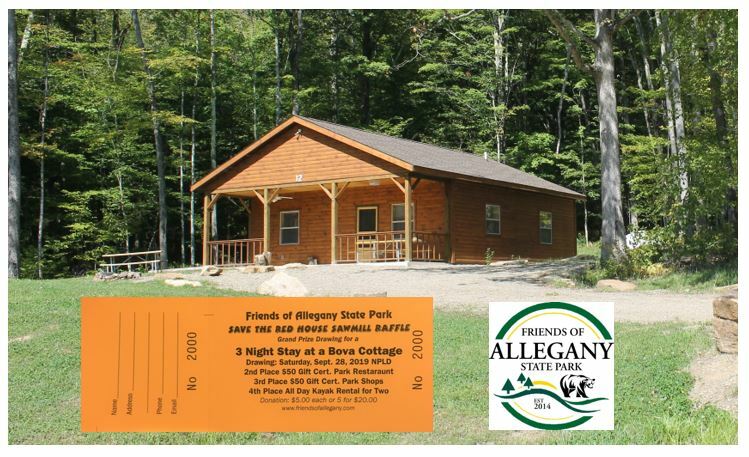 First Prize: 3 night Stay at a Bova Cottage courtesy of Allegany Partners LLC. Second Prize: $50.00 Gift Certificate for the park shops courtesy of J-Con Concessions. 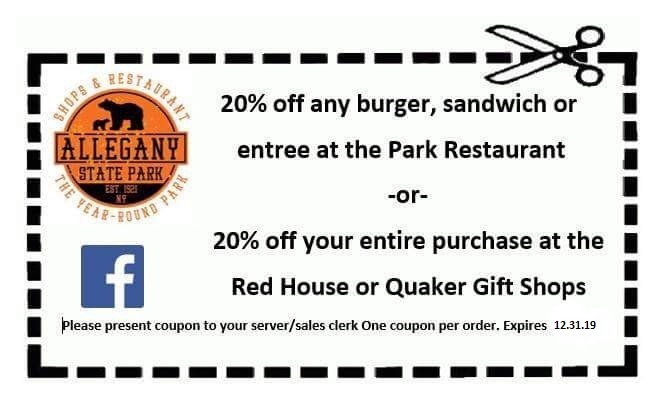 Third Prize: $50.00 Gift Certificate for the Park Restaurant courtesy of J-Con Concessions. Fourth Prize: Gift Certificate for two for an all-day kayak rental courtesy of J-Con Concessions. Drawing at National Public Lands Day September 28th. Please help the Friends & support this great cause!